When the intention to launch an own e-shop evolves into the strong and final decision, the entrepreneur faces the subject of the appropriate e-commerce platform selection. In general, there are different approaches reflecting specific needs. The first one embraces the ‘all-in-one’ standalone e-commerce applications, like Magento, which provide customers with everything necessary ever to create, deploy, and maintain an e-store. The second approach provides customers with lightweight e-commerce libraries like Aimeos which can be embedded into other applications with rather minimum efforts. Such solutions are integrated into the existing application providing customers with the entire amount of tools necessary for a fully featured online shop. The achievable results of the e-commerce systems implementation depend on the clear understanding of pros and cons of the selected approach. Let us compare the advanced and super-popular Magento platform with the gathering pace Aimeos feature sets’ library. Both solutions present PHP-based open source software free of charge. The professional e-commerce platform Magento was released in 2008 under “Bento” name. However, later it was reconstructed from the zero level and subsequently purchased by eBay. Thanks to its hyper-developed structure and the widest ecosystem, Magento offers almost everything could cross an entrepreneur’s mind concerning online shopping nowadays. Aimeos is significantly younger than Magento, besides it represents the different approach to the e-stores installation. Being an open source PHP library of the e-commerce components, Aimeos is designed to integrate e-shops into different applications and frameworks like TYPO3 or Laravel. 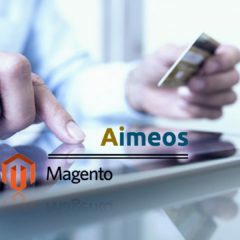 Likewise unlimited products to be added to a Magento e-shop, Aimeos allows adding up to 100 000 products with standard MySQL out of the box and several millions of products while using their SOLR/ElasticSearch. The recently released Aimeos Laravel 5 package offers a complete and tested shopping system for online business owners using a standard LAMP stack. Each competitive e-commerce platform should focus on its performance to attract buyers in the accelerating fast-pacing online business. Facing low-speed complaints from customers in the past, Magento 2 has optimized its e-shops’ downloading time for 20-50%. In turn, Aimeos emphasizes their high speed of 40 ms to first byte with block level caching. From another side Magento is huge and rather heavy due to its extensive functionality that requires powerful hardware and a separate server for hosting. Aimeos solutions are light and low resource consuming with their 3-6 MB size range. Though, we need to remember that Magento is independent platform while Ameols is an open-source library which should be incorporated into Laravel or TYPO3 CMS or directly into PHP solution. The operation flexibility and adaptation for different browsers and screen sizes are developed well for both solutions. However, Aimeos supports only 10 popular languages while Magento does up to 30 ones. Any competitors have not conquered the variety of template designs and other customization capabilities of Magento yet. The entrepreneurs aiming the ultimate evolution and development of their e-shops should consider this issue while selecting the appropriate e-commerce platform. Evaluating dispassionately the SEO capabilities of both solutions, it worth to admit that Magento leaves behind the rest platforms. However, Aimeos looks estimable representing fully optimized SEO with custom HTML metatags, translatable URL segments, and Google readable product data. The deep and detailed investigation of all possible aspects of both solutions is beyond the scope of the present short review. 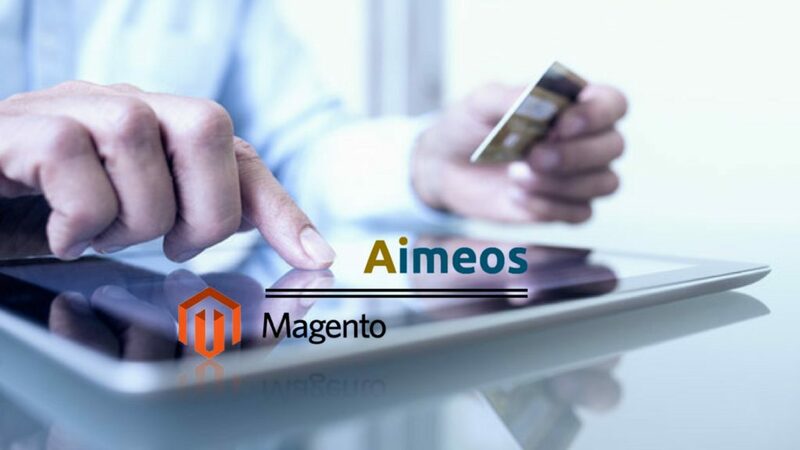 Although, both e-commerce systems state their easy-to-run installations along with out of the box functionality, both Magento and Aimeos require a certain programming proficiency from the customers. In this regard, the business owners taking both systems’ measure are welcome to get the professional advice from Agiliway. Our specialists will provide you with the advanced consulting and development service for the most popular e-commerce solutions available in the contemporary market starting from Magento platform to Aimeos or WooCommerce plug-ins.